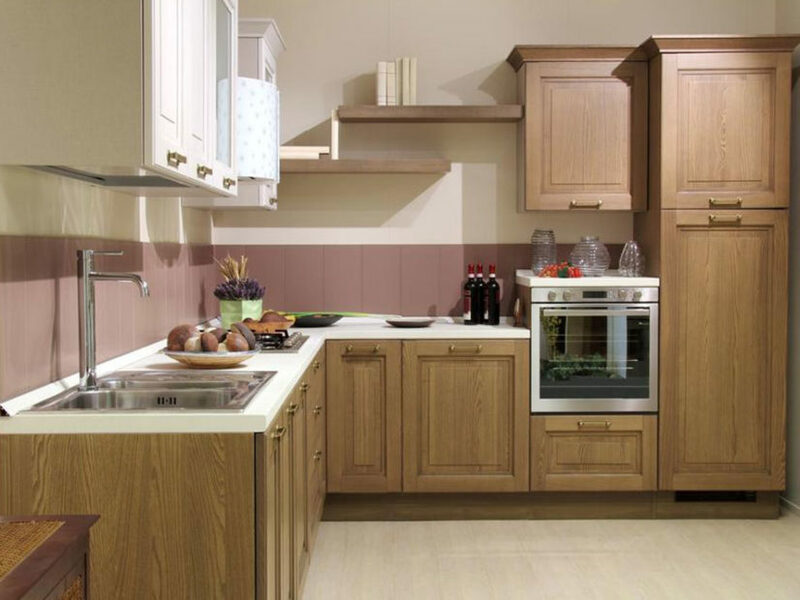 Do you worry because you have a small kitchen as compared to the rest of the rooms in your house? It is a general notion that when you have a small kitchen, you might not be able to accommodate a lot of functionalities and decors into it. With the latest range of kitchen furniture and fittings from brands like Aarons furniture, you will not be disappointed with the look either. There are several clever ways in which you can make your small kitchens look classy and chic, and even spacious at times. Some of these clever design ideas are shared with you. At times, you might not give much focus and attention to the type of flooring that you use for your kitchens. But the truth is, the right type of flooring can make a huge difference to the look of the space. In fact, more than marble flooring, plywood is preferred when it comes to kitchen floors. It is hard, sturdy and comes in various tarnished colors nowadays to match the wall colors of your kitchen. Glass creates a sense of space, reflection, lightness and illusion. Due to its inherent property it allows light to directly pass through it, making the kitchen look bigger than it actually is. Taking advantage of this property, you can always opt for glass cabinets and shelves in your kitchen. Of course, with glass fittings, you might have to take extra precautions if you have children or pets at home. Open kitchens are quite in demand and very fashionable. Most houses these days have kitchens that are merged with the dining and/or the living area. This hides the fact that the individual area space of the kitchen is smaller as compared to the rest of the rooms. Further, a smaller kitchen can often make you feel claustrophobic while you are working inside it. This will not happen with an open kitchen. Thus, you can always use some extra furniture from outlets like Aarons furniture to spice up the look of your open kitchen. Even if you incorporate lovely cabinets in the kitchen, at times they are incapable of holding everything that you might need. Thus, along with cabinets you might also want to hang some of your utensils from hooks on the walls. These utensils can be the ones which you use on a daily basis and they would come in handy if kept nearer, instead of keeping them in a cabinet. Thus, these are some of the easiest ways to make sure that your kitchen is propped up with everything that you need for cooking and yet, it does not reflect the small size of the space. With most of these accessories and fittings available with outlets like Aarons furniture, it becomes easier to plan and shape up your kitchen for a brand new look anytime.